Home Keto & Low Carb Recipes Brownies On A Low Carb Diet? Who would have thought that you could still enjoy brownies while on a low carb diet? 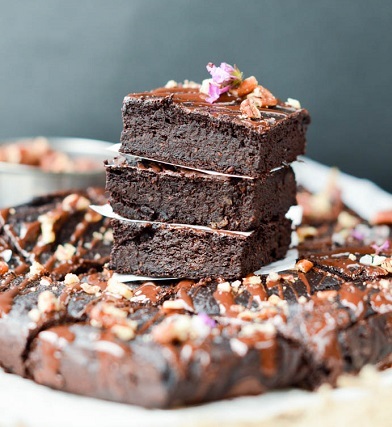 These brownies are sugar free, gluten free and contain healthy fat from avocado. It’s a bit of an unusual ingredient but don’t dismiss them until you’ve tried them. 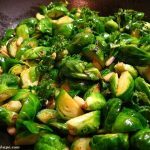 The avocado replaces butter and makes them ultra healthy. 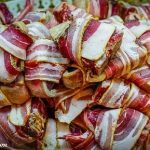 The low carb recipe is from Carine, a French woman living in New Zealand. With a masters in science, her passion, she says, is to understand food and how it impacts body energy. 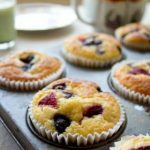 All her recipes are nourishing, easy and tasty! 2. Line a square brownie pan (24 cm x 24cm) with parchment paper. Set aside. 3. In a small saucepan add the dark chocolate bites and coconut oil. Bring to medium heat until fully melted. Set aside. 4. In your food processor with the S blade attachment, add all the brownie ingredients (except the glazing one) in this order: ripe avocado flesh, eggs, erythritol, almond meal, unsweetened cocoa powder, baking soda, salt, vanilla. extract and melted chocolate. 5. Process for 30 seconds to 1 minute or until all the ingredients comes together and you obtain a thick brownie batter. 6. Transfer the batter into the prepared square pan. Spread the batter evenly in the pan using a spatula. 7. Bake for 25-30 minutes or until a skewer inserted in the middle of the brownie comes out clean. 8. Cool down 10 minutes in the pan before pulling out the brownie from the pan using the parchment paper to pull out the brownie easily. 9. Transfer the brownie on a cookie rack to cool down until room temperature. 10. Meanwhile prepare the chocolate glazing and toppings. In a small saucepan, under medium heat, melt the sugar free chocolate bites with coconut oil until fully liquid and shiny. Stir often to avoid the chocolate to burn. 11. Use a teaspoon to drizzle the melted chocolate on top of the brownie and decorate with crushed pecan nuts and sea salt – optional. 12. Cut the brownie into 16 squares and store them in the pantry in an airtight container for up to 4 days. She makes the note that if your erythritol brand doesn’t dissolve well you can pre-dissolve the sweetener with 4 tablespoon of boiling water before adding into the food processor. 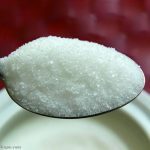 Erythritol is a sugar alcohol which if you have IBS or SIBO you may not be able to tolerate. If this is the case you could use stevia for baking instead. Are you going to give these low carb brownies a try? If you do let me know how you like them in the comments below. Want more low carb desserts? 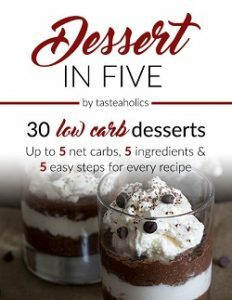 Dessert in Five is a month’s worth of simple, delicious, low carb (keto) dessert recipes that are each made with just 5 common ingredients and are up to 5 grams of net carbs! There’s nothing better than that! 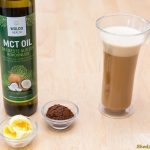 What Is Keto Coffee and Should You Drink It?